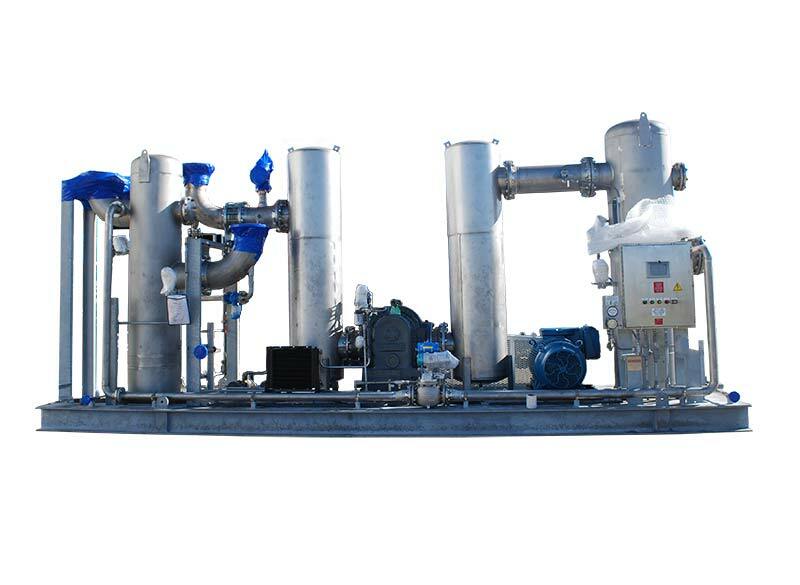 GENERON Custom Packaged Systems separates and/or remove landfill gas components, (CO2, CH4, N2, O2, siloxanes, H2S, VOC’s and water) to meet client specifications. Landfill gas is generated by naturally occurring degradation of organic materials at landfill sites. The GENERON CO2 Removal System upgrades the pre-treated landfill gas through the efficient removal of CO2, water vapor, and other trace gases to produce clean, dry, pipeline quality Renewable Natural Gas (RNG). Typical landfill gas applications include pipeline injection, vehicle CNG fueling stations, fuel cells, and other combined heat & power (CHP) systems. 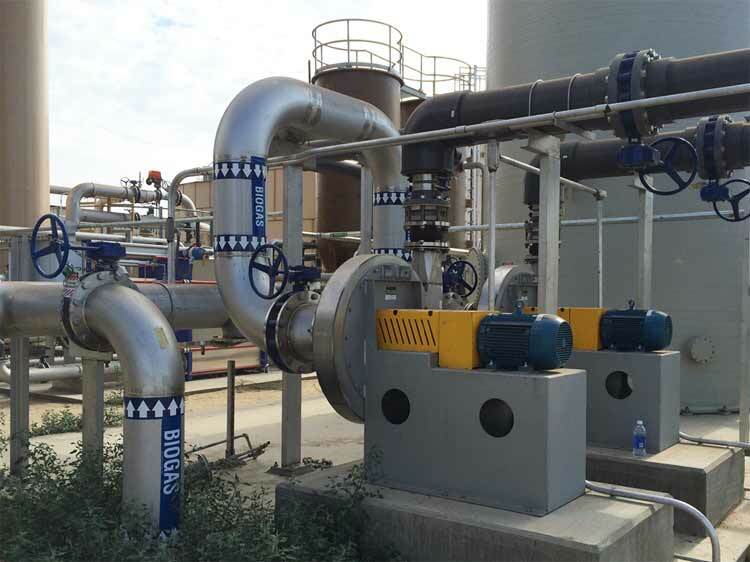 GENERON® membranes have the highest CO2/CH4 selectivity available and are a superior technology for upgrading landfill gas within a flexible, modular system that is easy to operate at a low investment cost. High selectivity ensures the production of high quality gas with limited methane slip, resulting in >98% methane recovery. GENERON® Membrane Systems are used to reduce the CO2 and improve the heating value of the gas. 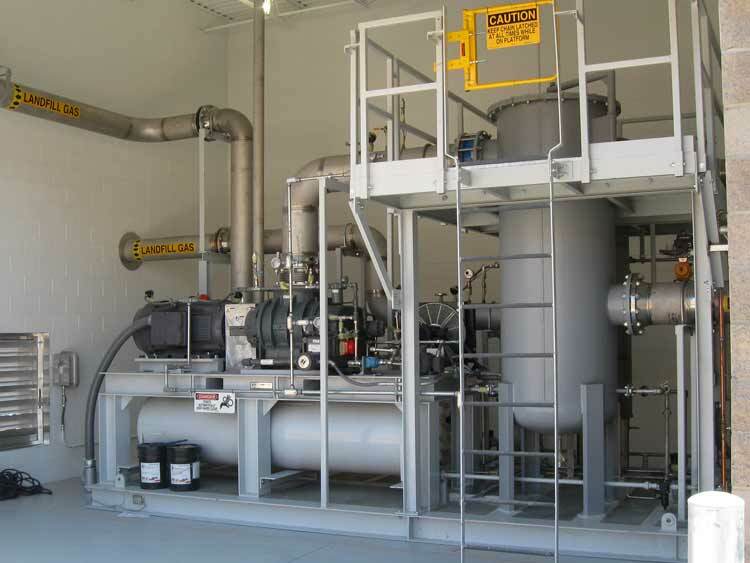 The customized landfill gas membrane systems are manufactured in our ISO 9000 Certified facilities in Houston, TX, while the membranes are manufactured in our Pittsburg, CA, facility. The systems can be packaged to meet customer requirements of reducing or removing the N2, O2, Siloxanes, H2S, VOC’s and water content. 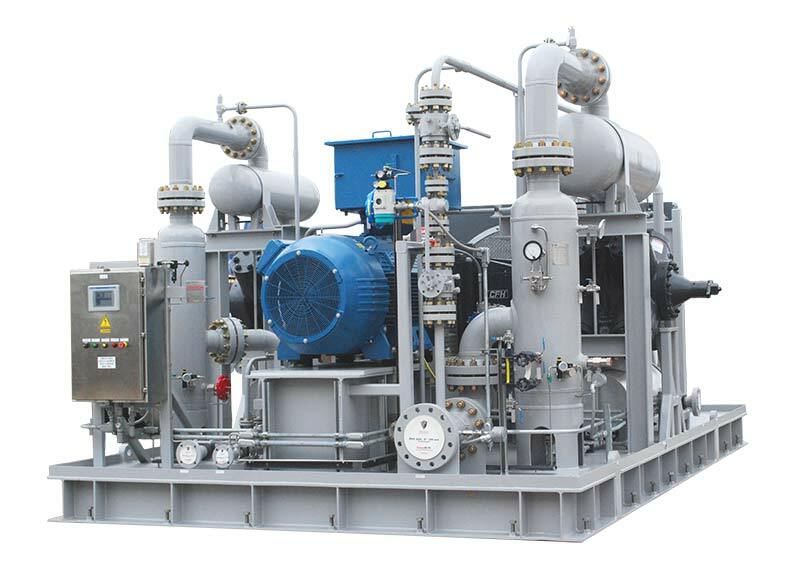 If required, GENERON offers compressor packages for landfill gas systems. In a typical GENERON® Landfill Membrane System the feed gas is filtered to remove any entrained aerosols and liquids. The gas then enters the GENERON® membranes and carbon dioxide (CO2) as well as any hydrogen sulfide (H2S) and water (H2O) permeate through the membrane. The non-permeated gas, mainly CH4, remains at inlet pressure and is the product gas.